ANNAPOLIS, Md. (NNS) — The Naval Academy announced May 9, that a new major is available for the Class of 2016 and beyond, bringing the number of technical majors offered to midshipmen to 18. 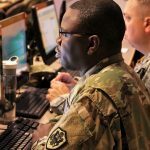 Cyber operations is an interdisciplinary major that covers the entire scope of cyberspace and related operations, both technical and non-technical. 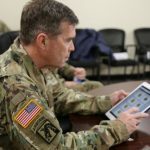 The new major provides a basic foundation in computer architecture, programming, data structures, networks, the internet, database systems, information assurance, cryptography, and forensics. The technical aspects of the program are balanced with courses and electives in areas such as policy, law, ethics, and social engineering. 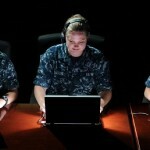 Midshipmen in this major will participate in hands-on cyber operations beginning their third-class year, and the program culminates in fully-immersed cyber operations studies and simulations in the first-class year. 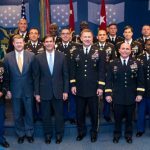 After completing the academy’s cyber operations program, future officers can enter advanced study or possibly assignments with the various military cyber-related forces in support of national security. “Cyber is a mix of different skill sets – a combination of investigative abilities, a little bit of policy thinking, and math, but you also have to be able to think as the bad guy when you’re trying to be the good guy. So it’s a whole lot of psychology as well,” said Midshipman 1st Class Matt Yates. 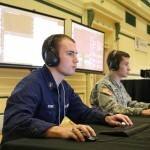 Yates was the Navy’s team leader for this year’s cyber defense exercise, sponsored by the National Security Agency, and is pursuing a dual major in computer science and information technology. The Naval Academy has already taken several steps to ensure future graduates are invested with the skills and knowledge necessary to operate effectively and immediately in an emerging cyber security environment. The academy is the only U.S. institution of higher learning that has mandatory cyber security classes. 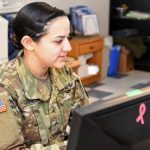 The baseline is to provide every academy graduate with an understanding of the cyber domain and how it impacts their commands and their ability to conduct their missions. “Computers are everywhere. These are skills we’ll need wherever we go,” said Yates. 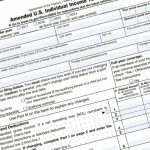 For more news from U.S. Naval Academy, visit www.navy.mil/local/usna/.